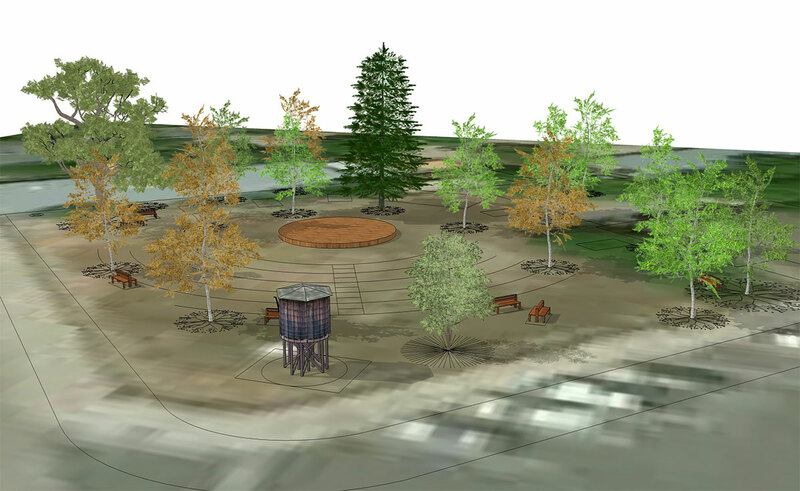 The Julian Community Heritage Foundation has been actively working on a new initiative for the development of the corner lot on Main St. and Washington St. Our vision is the creation of a Julian town square and would serve as a community park & outdoor amphitheater. Julian town square will be an epicenter of art, theater and community gatherings. We are making progress towards raising the funds we need to purchase the vacant lot -- the future site of the Julian Town Square. We hope to be able to raise the necessary funds in 2019 through a pledge-drive, private & corporate sponsorship and crowd funding campaigns. We look forward to bringing together this amazing new addition to our beautiful little town. The Julian Community Heritage Foundation started as a volunteer effort towards creating a Julian Town Square initiative. It has been in the works for many years now. Various individuals and organizations have already contributed to the project and our collective efforts have so far raised well over $100,000. 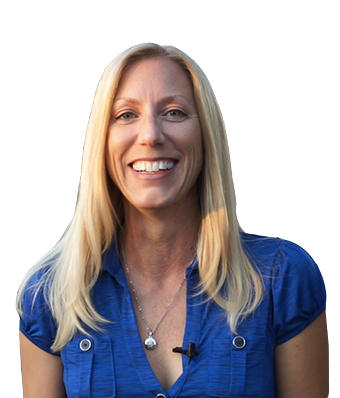 We have presented the plans to Dianne Jacob, our San Diego County Board of Supervisors Representative, and she is also supporting the project. We are working with the Architectural Review Board to ensure we are in compliance with historic district building guidelines. 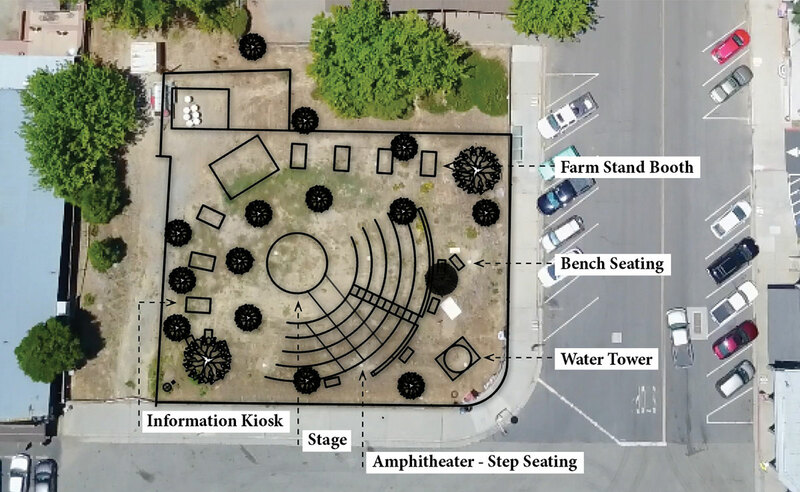 The Julian Community Heritage Foundation is honored to introduce our initiative for a community park & outdoor amphitheater on historic Main St., Julian. This community driven project has been decades in the planning and we hope to finally bring this vision to fruition in the coming years. 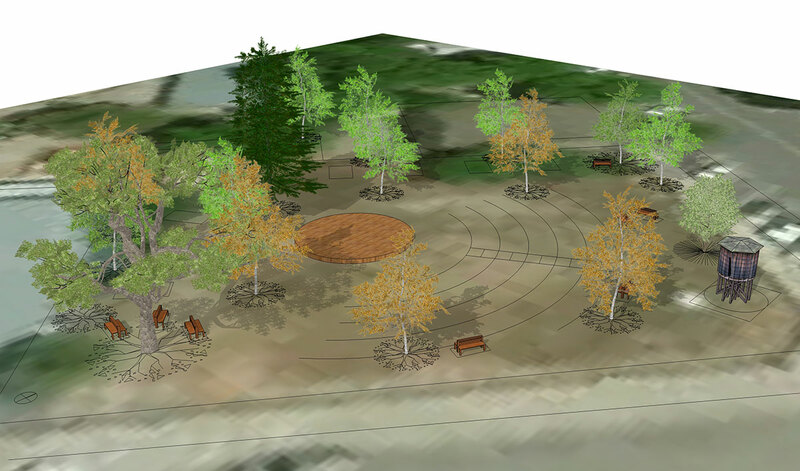 This town square, outdoor amphitheater and community park will be an epicenter of art, theater and community gatherings. The town square project is being proposed for the vacant corner lot on Main St. and Washington St.
We're currently accepting donations that will go towards raising the funds to acquire the lot. The Julian Community Heritage Foundation is dedicated to the citizens of our beautiful county & we're committed to the betterment of our community. Our motivations are to serve America's finest city & ensure a sustainable future for generations to come. The Julian Community Heritage Foundation (JCHF) is a non-profit organization, dedicated to preserving the history of the community of Julian and to promote the quality of life of persons of all ages living, working, and visiting this community. Copyright © 2018. Julian Community Heritage Foundation. All rights reserved.